Border Patrol Agents: Our Uniforms Should Be Made in the U.S. 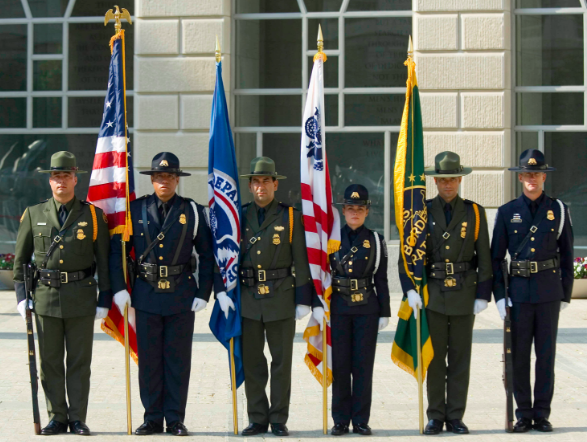 Trademark green uniforms worn by Border Patrol agents. Border Patrol agents want the federal government to purchase their uniforms from companies that manufacture the clothes in the U.S. 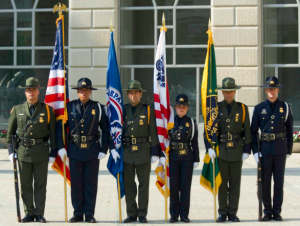 The trademark green uniform worn by Border Patrol agents is made by VF, a Greensboro, N.C., company that manufactures about half its uniforms outside the U.S. in places such as Mexico, Honduras and El Salvador, Bloomberg reports. The fear is that uniforms manufactured outside of the U.S. creates a security risk. For the past year, Trevino and other border agents have been helping the union design a better shirt. In mid-October, they presented their bosses in Washington with a prototype by Massif, an Oregon apparel manufacturer that also produces combat gear for the U.S. Army. The upgraded tops have the same sporty epaulets and pointed collar as the current models, but the fabric is more breathable and cut to fit comfortably underneath body armor. The union earlier this year endorsed Republican presidential nominee Donald Trump, who’s campaigned to bring manufacturing back to the U.S.
Posted: 10/28/16 at 9:05 AM under News Story.